Influenza B infection is considered as one of the common conditions that affects a large number of people across the globe, caused due to the influenza virus B genera of the family. The condition of influenza B infection requires proper medications and treatments in order to avoid severe complications. At present, several medicines and vaccinations are made available in order to reduce the incidence of influenza B infection across the globe. The increasing number of initiatives taken governments and NGOs to create an awareness among people regarding this condition is projected to accelerate the growth of the global market in the next few years. The prominent players operating in the global influenza B infection market are focusing on the development and new and effective therapeutics so as to reach a large number of patients across the globe. This is projected to offer promising growth opportunities in the next few years. In addition, the increasing expenditure on the development of the healthcare facilities, especially in developing economies are likely to accelerate the growth of the global influenza B infection market in the coming few years. 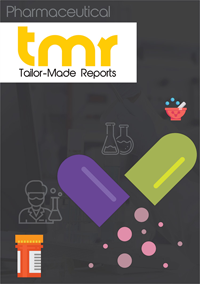 The presence of a huge number of players in the global market with a strong drug pipeline and the rising emphasis on clinical trials are estimated to develop the competitive scenario of the global influenza B infection market in the coming years. Moreover, the easy availability of drugs is predicted to supplement the growth of the overall market in the near future. With these factors, the global market for influenza B infection is projected to experience a high growth over the forecast period. Influenza is commonly classified as type A, B, or C, depending on the protein composition of the virus. Influenza B infection is caused by influenzavirus B genera of the family Orthomyxoviridae and is found only in humans. Common symptoms of the infection include runny nose, chills, fever, muscle pain, sore throat, fatigue, coughing, and general weakness. Nausea and vomiting is also observed in some cases, particularly in children. Frequent hand washing, wearing masks to prevent transmission, routine annual vaccination, and practicing good respiratory hygiene are the few ways that can help reduce the risk of people catching the infection. Vaccination offers a good protection against influenza B infection and is also important for people in high risk regions. Symptoms of the infection if not treated on time may lead to complications such as bacterial pneumonia, myositis, encephalitis, Reyes’ syndrome, and sinus and ear infections. The infection is transmitted via air, by sneezing or coughing. Children are highly susceptible to the influenza B infection though it is also known to affect a substantial number of adults. Influenza B virus can be further broken down into different strains and lineages. Currently, two lineages identified include B/Victoria/2/87-like and B/Yamagata/16/88-like. Diagnosis of the infection is generally carried out by observing the symptoms. Laboratory testing is recommended in certain cases such as influenza outbreak and patients with high risk of complications. The global influenza B infections market can be segmented based on drug class, pipeline assessment and geography. Histopathological examinations help in assessing airway, and tissues of lung, heart, and lymph node for determining influenze B infection. Various molecules under pipeline for treating influenza B infections are BTL- TML001, favipiravir, and CR-9114. The World Health Organization (WHO) and the U.S. Center for Disease Control and Prevention recommend influenza vaccines for individuals with high risk such as healthcare workers, the elderly population, children and people suffering from chronic diseases such as diabetes, asthmatics, and heart disorder patients. Influenza vaccines are commonly administered as injection or nasal spray. Antiviral drugs of class M2 protein inhibitors such as adamantine derivatives and neuraminidase inhibitors including zanamivir and oseltamivir are generally used to treat the infection. Zanamivir and oseltamivir help shorten the duration of the infection and also lower the risk of development of additional complications, though these drugs cause mild side-effects such as nausea and vomiting. Recent studies suggest that antiviral drugs such as amantadine and rimantadine are no longer effective due to generation of resistance by influenza virus. Home remedies include fluid intake, rest and over-the-counter painkillers. Acetaminophen helps in relieving headache, muscle ache and fever. However, aspirin is contraindicated since it increases the risk of Reyes’ syndrome. Antibiotics are recommended only in cases of bacterial complications and are also known to cause side effects and development of antibiotic resistance. Various other alternative treatments include homeopathic and herbal medicines though their safety and efficacy is yet under evaluation. Geographically, the global influenza B infection market can be categorized into North America, Europe, Asia Pacific and Rest of the World. Yearly, approximately 200,000 people in the U.S. need to be hospitalized due to complications related to flu. Some of the key players contributing to the global influenza B infections market have been AltraVax, Inc., Autoimmune Technologies, LLC, Crucell N.V., Chimerix, Inc., REPLICor, Inc., Humabs BioMed SA, ContraFect Corporation, and Takeda Pharmaceutical Company Limited.